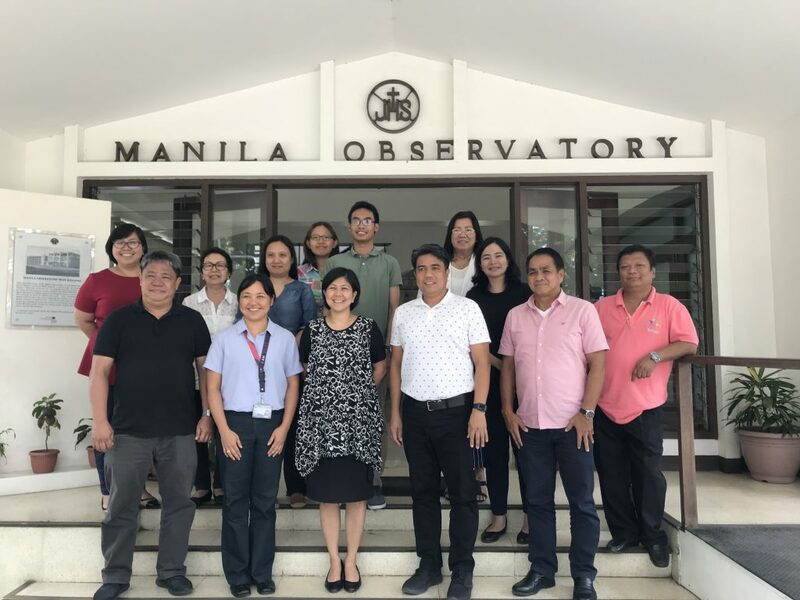 Senior Scientists of the Manila Observatory through the National Resilience Council has sat in meetings with the 1Bataan Resilience Team to talk about how the Observatory can help them in their projects aimed at resilience. On 10 September 2018, Drs. Gemma Narisma, James Simpas, Obiminda Cambaliza, Faye Cruz, Julie Dado, and Celine Vicente visited Bataan to be able to discuss what the Observatory has been doing specific to the areas of air quality and climate science. This exposure trip presented an opportunity for the team to see Bataan’s. Disaster Risk Reduction Command Center and air quality monitoring van. A follow-up meeting was conducted last 2 October 2018 in the Manila Observatory with the core members of the 1Bataan Resilience Team to expose them to what the Observatory does and explore the next steps for the possible partnership.